The magic of films, the power of storytelling and the glitter of Hollywood remain a few of the reasons I choose to live near Los Angeles. Films entertain and educate us, they change our perspectives, and expand our views of our world – or what exists beyond. My favorite trend right now revolves around telling historic or well-known stories from a different perspective – whether showcasing a lesser known person who had a significant role in history, telling a side of history that we’re not familiar with, or telling historic stories through fictionally-enhanced side-stories. My new fascination with history lies not with people’s outcomes, but with their journeys. When invited to the world premiere of Sony Pictures The Star, the twin angels on my shoulders, Oprah and Shonda, eagerly responded: Year of adventure! Year of Yes! Despite working at a film studio for many years, I rarely participated in a project’s release. What a fun opportunity to see a film first and a festive way to ease into the holiday season! Plus this was another amazing destination on my journey this year. With two of my #OMagInsiders blogging pals – Camesha [MamaMotivator] and Rachel [RachelSimmondsFitness] – we set out to support Oprah in her film project, and hopefully thank her in-person for inspiring my Year of Adventure in person. Approaching the Westwood movie theatre, crowds of fans outlined the streets huddling to catch a glimpse of their favorites from this star-studded cast. The snowy white carpet glistened as elegantly decorated Christmas trees reflected the flash of paparazzi bulbs. Glimpsing the well-choreographed dance between the celebrities and the press fascinated me – especially the young media with a larger camera and staff than ours. To our surprise, we effortlessly walked past the will-call line and crowds to the back of the festival set up along the white carpet for the guests and their families! Stocked with comfort finger-foods and carnival games, smiles shone bright from all who lingered in this carved out Winter Wonderland before heading into the screening. This film exceeded my expectations in so many ways because of the balance in the film. While it’s a familiar story, this film presents the stories of many less-visible characters, little obstacles we hadn’t thought of before and the shock of experiencing it first-hand. While it’s a story of great magnitude, it’s presented in a sweet, simple way that people of all ages can follow with a great balance of good, evil, struggle, humor, skepticism and faith. While it’s a religious story, the amount of religion infused in the story isn’t too much, or too little – it’s just right. I highly recommend this film for families this holiday season. I can’t wait to take my mom, children and my niece! Seeing The Star film in this huge theatre filled with the magic-makers – who took months, even years to complete this film – escalated my excitement for this project. I always try to sit through credits but in this moment we could applaud the creators as they closed this chapter in their amazing journey! Plus this amazing soundtrack had us dancing in the aisles! There were a few messages from the film that resonated with me, especially reflecting on my personal journey this year, yet will benefit all ages. Whether your destiny remains unclear to you so far or it shines like a beacon as obvious as the star in the sky, it’s not just reaching the point of achieving your goal that defines you as successful. Equally as valuable are how well you stay your course, face fears or evolve when unexpected things happen or undesirable situations are put in your way. If your faith in your journey and in your goals persevere you rise above the naysayers and reach your goals. No, we did not congratulate Oprah this time, but I left the afternoon with amazing memories, new life experiences tucked under my belt – shared with my newest best friends, and a new holiday family film tradition (to balance out our tradition of watching Christmas Vacation)! For more shots of who I met on the white carpet check out my Instagram! Have you seen The Star? who was your favorite character? Who is your favorite celebrity voicing a character in this film? What holiday film do you traditionally watch? What is your favorite role that Oprah has played? What was your last new experience that you were excited about saying yes to? During the toddler years, my family’s cranky moods (mine included) disappeared with some creative distraction and a change of venue – if severe. Now that the tween and teen years dictate the mood in the house, when the bickering levels get intolerable, Mom offers a proportional change up – Roadtrip adventure! I’ve been dreaming of a trip to San Francisco since the last time we’d been almost 13 years ago. 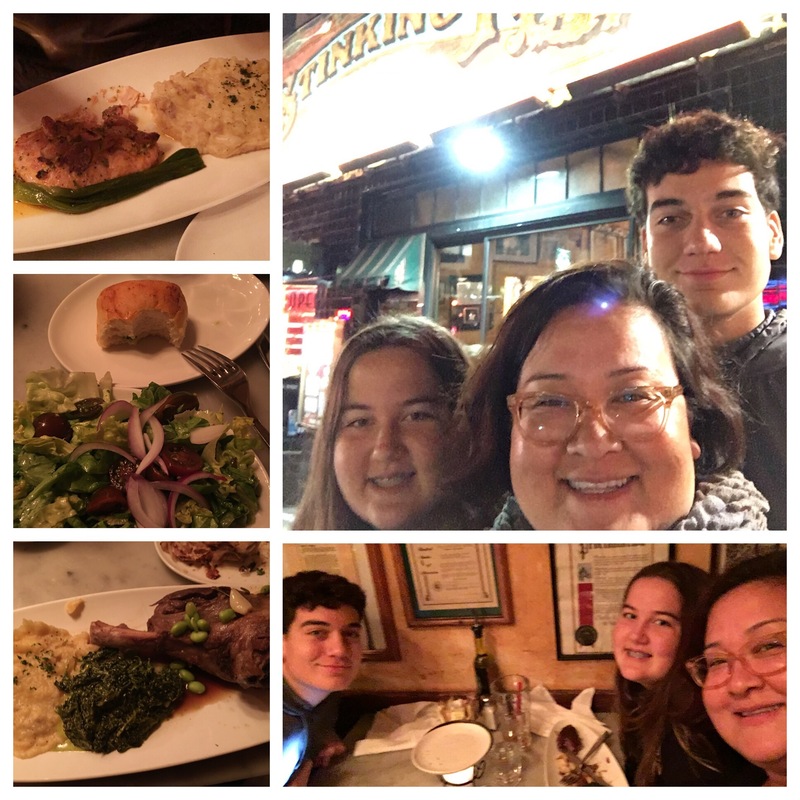 My teen son only remembers riding in a limo at 3 ½ years old (over riding his first cable car) and my tween daughter simply made it through the trip to her due date! I love the energy of the city with its cool modern minimalistic hotels next to classic historic hotels with warm solid mahogany bars in the lobby. I love that everywhere you turn, distinct neighborhoods welcome you with their distinct charm, as do the piers decorating the waterfront! So the three of us set out on an adventure blending history, new experiences, old favorites and of course something weird! 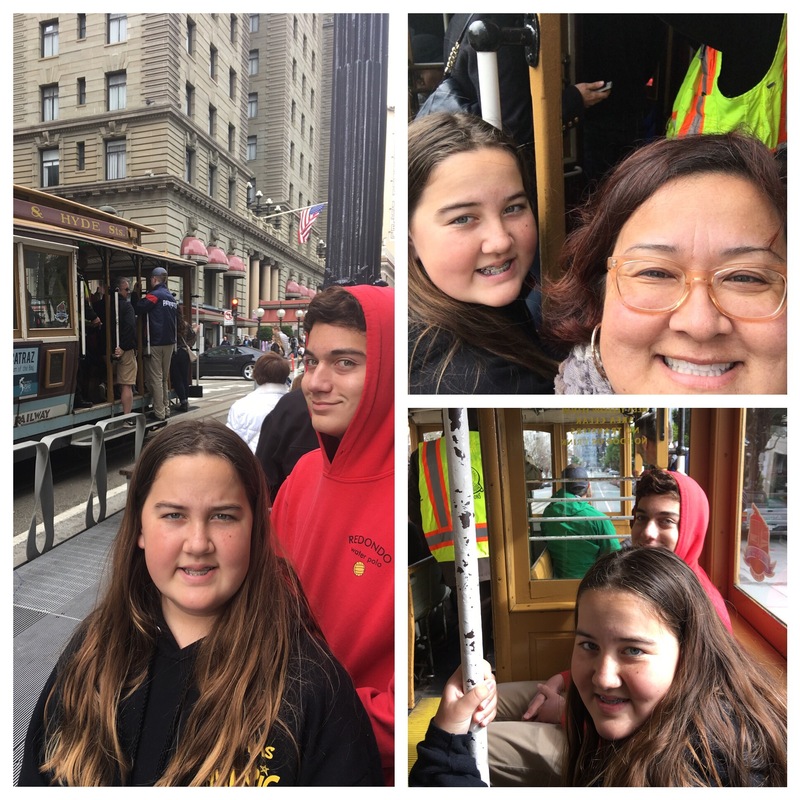 32 hrs in San Fran (with kids)! Always up for an adventure, the wheels in my head started turning immediately (The wheels on the bus go round and round)! When you put things out into the universe, the universe responds! Amazingly, we received the opportunity to try Megabus.com for free in exchange for our honest opinion. I immediately responded, “Yes, Please!” after a great first-hand testimonial from my office mate who used this bus line recently during her East Coast holiday adventure. Planning a weekend getaway limited our time in San Francisco, so the idea of showing up only 30 min. 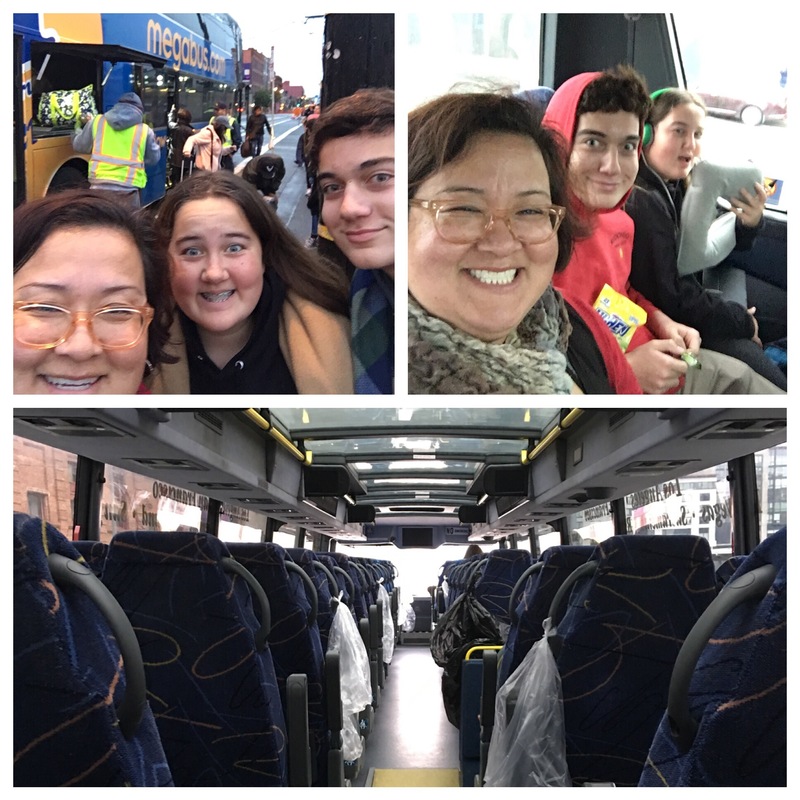 early, getting on a bus with reclining seats and sleeping my way to San Francisco – then waking up refreshed at my destination – cemented the decision for me! The night we left, California disappeared under the rainstorm that my generation will retell vividly for generations to come. The Megabus travelled securely on the roads, unfazed by the elements. In fact, for both directions of the trip, energetic and helpful employees kept us on track. Their rates remain reasonable, only additional charge should you wish to reserve seats! Check their site often for their $1 sales! I wish I’d known about this when I was a college kid – weekenders would have educated me! For a full review click here. As we crossed the Oakland Bay Bridge, the sun shone on the waking city and almost converted me to a morning person (Hah, you know how unlikely that’d be). The bus dropped us at the Caltrain station and Uber picked us up before we even stretched out our rested bodies! Everything feels closeby in San Francisco and in minutes we arrived at the Hilton SF Union Square – a hotel I’m super familiar with thanks to my Team In Training (TNT) years. Though they aren’t the most hipster or historic place in town to rest your head, they consistently provide a comfortable experience that seems upgraded from the price paid (especially with their renovated rooms). Feels like dropping in for a visit with a long-time friend! What cinched our future return was letting us check in 8 hours early! Thank you! 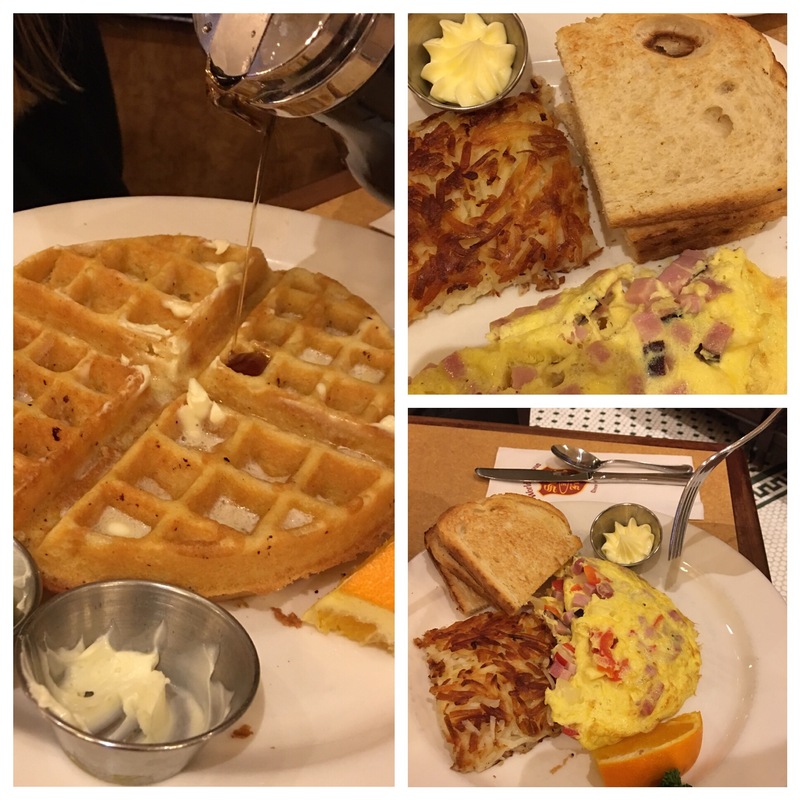 Despite our welcome middle of the night snack from the roadside rest stop, we arrived to San Francisco hungry for adventure …and breakfast! Wanting to set the tone for the weekend, and to fuel us for the day, we chose another favorite from my TNT days, Sear’s Fine Food! While the kids power napped, I navigated and doubled back cross-checking the Cable Car routes to deliver us to all of our desired locations. We opted for a single-day pass immediately opening up our access to the city. I purchased our tickets while the kids watched the city’s tradition of re-directing the cable car at the turn about. We hoofed it 2 blocks to the next stop up from there (where 10 people stood in line vs. 100s at the turntable). For the first leg of our trip we jumped onto the outside of a crowded cable car and held on! My daughter told me later that she got nervous – not that she’d fall off – that other people wouldn’t get out of the way. One of the most memorable visuals of the city flashed briefly at the change between the Powell-Hyde and California lines as we looked downhill through the city. Alcatraz is first on our list for next time! OFF TO EXPLORE – AH, TOUR – EE, YUM! One parental benefit allows us to run alongside our kids, watching the world through their curious eyes, bright with wonder. 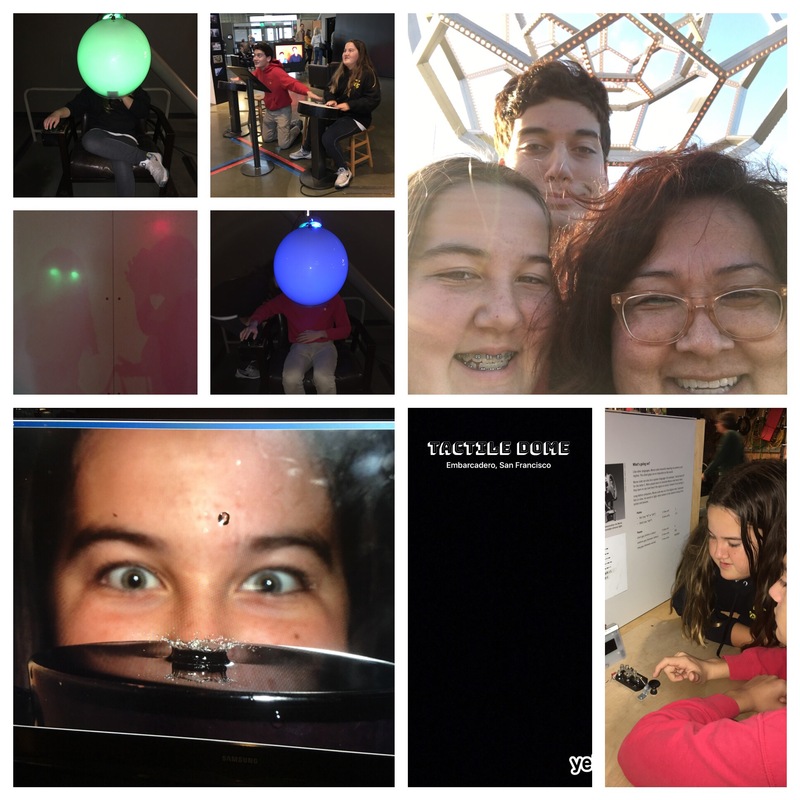 At the Exploratorium, everyone’s minds expanded and repeatedly blew as we flew from exhibit to exhibit, squealing like loudly deflating balloons! Each new stop offered fascinating exhibits where you learn by interacting with the exhibit! This museum encouraged touching or climbing into and through exhibits! My daughter’s and my favorite experience deprived us of our sight as we traversed through a maze in complete darkness. As a pair, we relied primarily on touch and sound while traveling through the Tactile Dome (slight additional, but highly recommended fee). She turned out to be an amazing leader providing step-by-step directions as to what challenge I would find next. My son’s favorite challenged him to learn Morse Code – harder than it looked considering it’s only dashes and dots! Totally exhausted though only getting a fraction of the experience done, we finally broke for dinner! As a divorced mom, I haven’t shared a lot of their Dad’s and my history. At first I lacked an age-appropriate answer for their innocent questions, “So if you had fun, why’d you break up?” Later, out of respect for his new wife, and largely because I’d boxed them all away, wrapped in impenetrable box in my self. 11 years later, I realize that the generic statement “Even though we’re no longer together, you were created from love.” doesn’t carry weight if I don’t sometimes share proof. Their Dad and I enjoyed The Stinking Rose restaurant a few times both here and the one in LA. One thing we actually agreed on was that only the SF one seasons the experience with a mythical bohemian feel – being that it’s the original location. Also, honestly, this restaurant wouldn’t have teased my palate without his family’s cooking. The first time they opened their door, a rush of garlic took my breath away! The rest is history. After dinner, though absolutely stuffed, we desired something light but sweet. 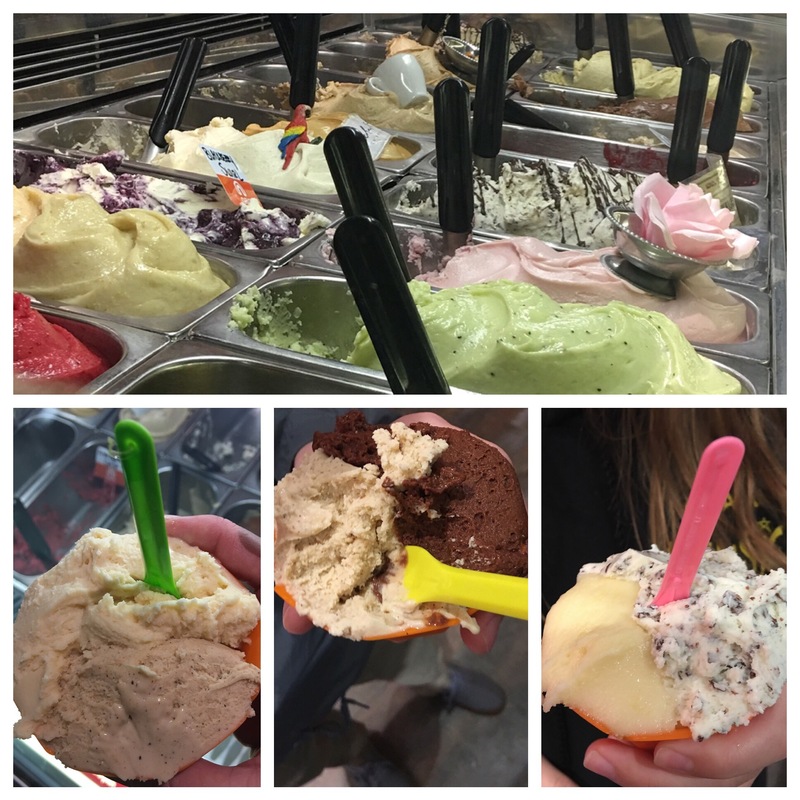 We calculated the distance we needed to walk to make enough room for Gelateria Naia (who are we kidding – there’s always room for gelato)! My kids stuck with classic flavors of mango, coffee and chocolate chip (though not all together). They featured a whiskey flavor I’d never encountered before that blended smoothly with chocolate – the recipe for the perfect evening nightcap. The next morning, after we slept in a bit, we hunted for a meal large enough to rush us through the day and sustain us until we got on the bus to relax for the ride home to Los Angeles. Originally, we went fishing for a fish and chips truck, but, they weren’t open when our stomachs started growling at us. The mist of the heavy fog led us straight to Tarantino’s Restaurant on the pier promising a view of the Golden Gate Bridge from the top floor (talk about multi-tasking when on a limited timeframe). 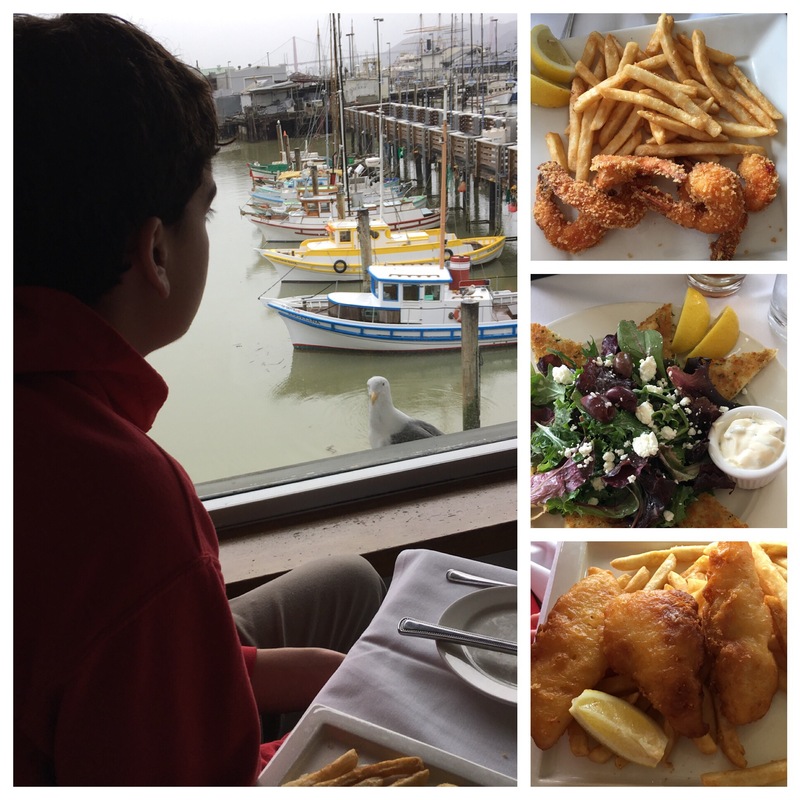 The kids laughed at the names of boats in their slips, communicated telepathically with seagulls begging for the kids’ fries through the scenic glass window, and squinted to find the bridge through the fog. We raved about the crispy golden seafood (lightly battered and fried, without any recognizable fish features). As we exited the restaurant, the bright red logo of Rocket Fizz served as a beacon from across the street. My son’s sentimental side insisted that we go “support the company” so that they don’t go out of business (I doubt there’s any danger of that, he’s still sore we lost the location in Westchester). Your sweet tooth compels you to stop the next time you pass near this store. It offers many childhood or jumbo-sized favorites and hard-to-find imported candies. Headed towards the Pier, we pulled inside a doorway to briefly to plot our course …and never left. 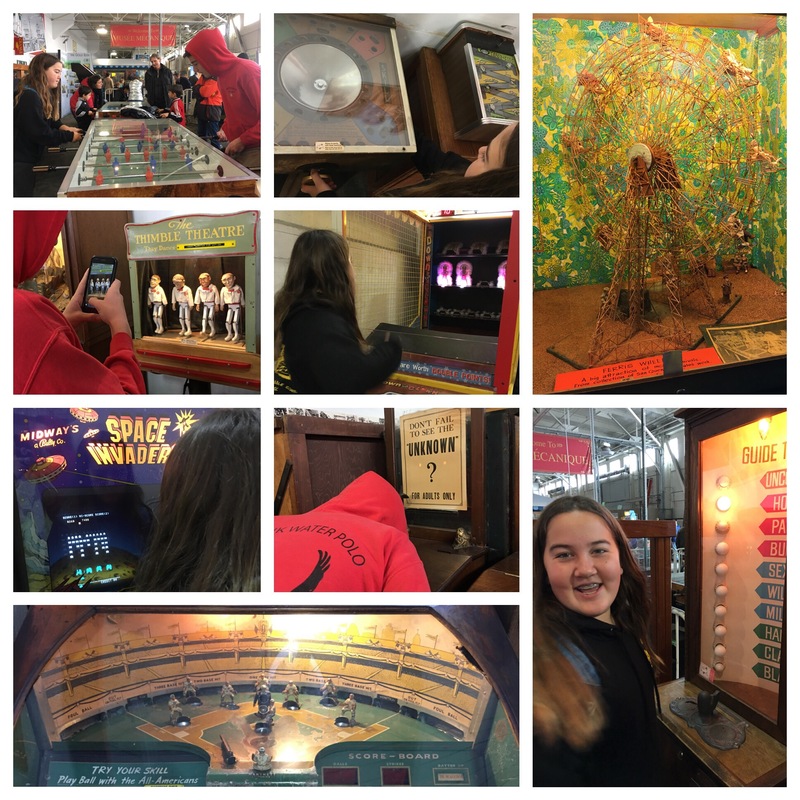 We’d stepped through a door into the most fantastically freakish place – Musée Mécanique! This features the personal collection of Edward Zelinsky’s arcade games, and other mechanical wonders, collected from 1933 on (though some originated from decades earlier). This collection felt slightly unsettling only because we had no idea what to expect (or was it the large clown at the entrance). Uneasiness immediately yields to exponential levels of excitement as you discover each new relic from a player piano, to old-time picture machines, to Space Invaders and a steam motorcycle. We completely fell into this parallel universe, lost track of time, and wish we could have stayed longer. After a relaxing and a more spacious ride home (less people on the bus so each person could take a row of seats), we returned home from vacation refreshed, a little exhausted from our adventures, and with new perspective. Our Three-thumb review is 3 tired thumbs up. My tween daughter loved the unique challenge of the Tactile Dome and a new appreciation for her vision. My teen son left for San Francisco believing that one beach town resembles the next one. He returned with an appreciation for the history and the varied terrain (and we didn’t even visit the largest or curviest hills) of Northern California. 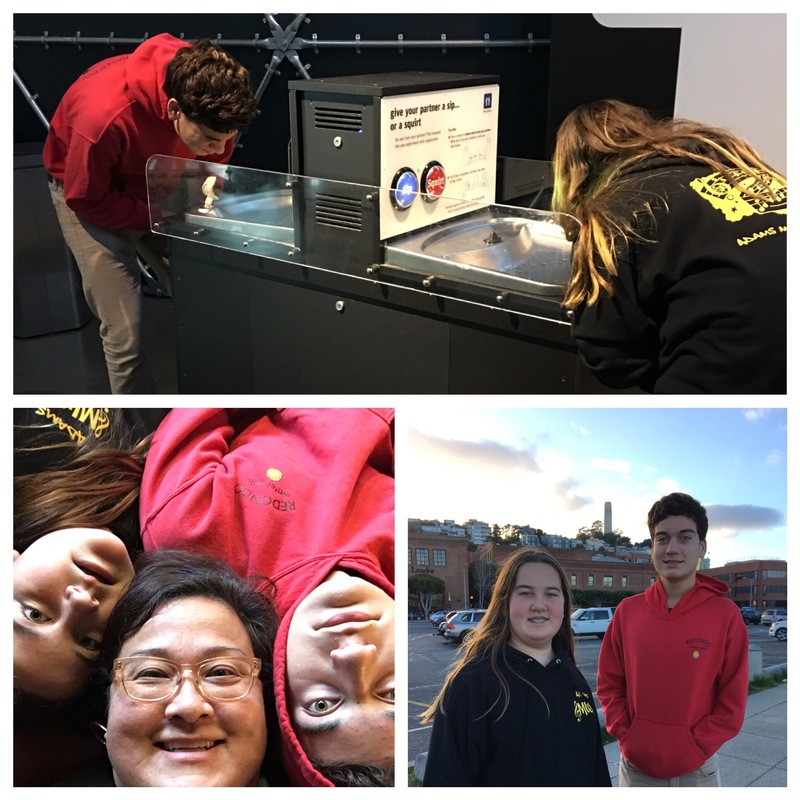 I caught a glimpse of my children and how they treat each other when mom’s not around thanks to the water fountain experiment in the Exploratorium. It featured back-to-back water fountains and two buttons on each side: SIP or SQUIRT. Each sibling simply pressed one button and if they match, it happens, if it doesn’t match, it cancels each other and nothing happens. I fully expected to need to buy new dry clothes, or that they’d cancel each other out. My heart grew when I witnessed my kids gently lowering their heads (and dare I say they were both a little bit surprised) to get a sip of water. If you want even more detailed reviews on each place we visited, check out the Yelp Reviews. Plus subscribe to check back when we update the list after future roadtrips! Follow the blog to see where we go next! What is your favorite San Francisco gem? What do you do to save your sanity on trips? How do you remain present and not skip ahead to the next destination? What changes in perspective do you encounter while traveling? How often do you travel with your kids vs. on your own? We hopped off The Big Bus at the Historic Las Vegas sign! The mission we accepted was to find something memorable for each of us that we wouldn’t find back home in Southern California. …Oh, and swim, people-watch and eat! Where to start? WE STARTED WITH A SPLASH! We started by deciding what pool we’d want to play in, the room was secondary. We checked out everything from lazy rivers to sandy beaches but the Shark Tank pool at the Golden Nugget Hotel & Casino won. You can slide THROUGH the shark tank! Shot from the hotel’s website because my phone/camera isn’t waterproof! We timed our arrival to coincide with the electric evenings of the Fremont Street Experience in downtown Vegas! We immediately headed towards SlotZilla ziplines to get a birds-eye view of the fun below under a video screen doubling as a technicolor sky! I’d checked the weekend music schedule beforehand, reserving our zip time to soar during a rockin’ Bon Jovi song! My daughter and I flew, I screamed while praying that my son (waiting on the ground) wouldn’t get lost for the few seconds apart. He didn’t. He was stunned still by the circus that is the Fremont Street Experience! It’s an amazing experience to bounce between multiple stages featuring different bands, while soaking in nostalgic old Vegas steaming with brand new, colorful energy! To really take in the Strip, without wearing out our feet, Groupon sold me on a deal for the Big Bus Tours! They picked up near our hotel and we hopped on and off again at many different locations including the photogenic Las Vegas sign, Circus Circus (also a transition point between two routes), and Everything Coca-Cola store (they’re not lying). Here we treated ourselves to flight of soda floats featuring Coca-Cola drinks from around the world in a variety of cola and fruity flavors! Between us we were really full after sharing 1 flight of 8 mini floats! After dressing for the evening, we chilled at a coffee shop. I sat on the sidelines sipping my cappuccino while my kids played chess. When the older challenged the younger on a rule, only then were phones brought out to settle the disagreement. My younger daughter emerged victorious! My older accepted defeat gracefully – even giving her kudos. That NEVER happens at home – call it vacation magic. The kids were dazzled by casino lights and sounds as we walked through on our way to see the Blue Man Group! Booking seats through Goldstar provided upgraded floor seats so we felt like part of the action (though not close enough where ponchos were needed)! We embellished ourselves with bright yellow strips of paper which later translated into a fantastic part of the show! As the show really got rocking, my kids’ senses worked overtime! My 14 year old son felt like this was the closest thing to a rave he’d experienced! After pouring out of the theatre and matching the pace with the stream of people walking through the pulsing lights and music on the Strip, we decided late dinner was a must! The Hard Rock Cafe never disappoints and this location had a club pumping while we ate. We all loved our meals and probably even dream about them in between trips. Despite a late evening, the kids jumped out of bed the next morning to meet the Humvee chauffeuring us to Battlefield Vegas! Groupon provided a great first-timer package for my son. Not the first time he’s shot at a range, just the first time he’s shot large guns. The driver explained that Battlefield is run by ex-military and police officers who all know and respect firearms. They impressed me with the lengths they go to prepare and protect you before entering the range. Afterwards, we strolled around the tanks, helicopters and other vehicles in the yard! We hoped someone would flatten a car with a tank – but we have to save something for next time! We returned to the hotel to finally slide through the shark tank! One little girl had the right idea and slowed herself down in the tunnel so she could actually see the sharks – otherwise it’s a funtastic blur! We splashed around the pool, and floated with our noses pressed against the glass of the huge shark tank! We followed the sun as the afternoon progressed. Though tempting, I didn’t do any pool-side gambling. As darkness took over, we headed to KISS Glow golf! It totally rocked! The kids enjoyed the rock-n-glow with the signature KISS obstacles on the course such as platform boots and guitar axes. The music rocked, but their collection of rock and roll memorabilia (from all sorts of rock bands) available for purchase impressed me even more! I really hoped someone would get married so we could witness a Vegas wedding in the chapel of KISS. WTF: (Whatever Teen Face) This IS my son’s face when he’s having fun. The next day, we met my folks (who also happened to be in town) for a casual breakfast and then hit the road home. The kids slept the whole way dreaming of what else to see next time! Not only did we blow the challenge out of the water, but so many things remain for us to return and discover! This is their old location, they’ve since relocated to the RIO! Have you had a great adventure in Vegas that you think we ought to try? Let us know in the comments! Anything only a local would know about? Anything for even younger kids? THE GREATEST SHOW ON EARTH® FLIES OUT OF THIS WORLD! This week, Ringling Bros. and Barnum & Bailey (RBBB) celebrates their 146th year of wow-ing audiences by launching The Greatest Show on Earth!® to a new dimension: Out of This World! Few long-lasting well-loved brands or shows last through decades, much less generations, because of how quickly tastes change. Yet Ringling Bros. manages to remain a family custom by honoring their traditions, feeling the hearts of their guests and creatively redefining themselves. We’re fortunate to have the world-premiere here in Los Angeles on Thursday July 14 – but check www.ringling.com to find out when they’re rocketing to you! Let’s start with the elephant in the room, the elephants have left the circus tent. Animal care was always a priority with Ringling Bros. and they entrusted their elephants with the best professionals in veterinary and elephant care, as well as educated the public on elephant conservation. Still, due to public grumbling over perceived issues with their elephant’s treatment, they retired them from the show. Though the elephants were a traditional part of the show, the numerous remaining traditions will lead Ringling Bros. to new dimensions. In Ringling Bros. tradition, they promise to deliver a show with the same awe-inspiring acrobatics, exhilarating equestrians, beautifully big cats, death-defying daredevils and much more to keep your jaw open in amazement! Some intangible, but definitely noticeable, traditions are the presence of 2nd or 3rd generation performers so the show has the same comfortable feel we’re used to – despite suddenly expanding their acts to all-new playing fields! To keep up with today’s hi-tech society, this circus promises a more interactive and immersive story experience and less of a, well, 3-ring circus. Amazing electronic screens and a colorful ice surface grabbing guests’ attention pulling us into the amazing story of good vs. evil told while exploring extraordinary new worlds on distant planets of ice, fire, sand and water. The audience will witness an aerial “space walk” in zero-gravity, a clown performing his antics on a pole 5 stories up, and Chinese acrobatics – while on ice skates. For a discount code for ordering your tickets, click here! CIRCUS VARGAS: Be Present: It’ll Blow Your Mind! These days live entertainment and family traditions find themselves competing with, and wondering how to beat, the virtual realities so many people live in. People shape their own ideal lives in social media or step into and succeed in any role in a make-believe dimension – how does one top that? Under the big top, Circus Vargas continues their tradition of impressing crowds daily with unbelievable yet true reality happening live right before their very eyes! When you step through the Circus Vargas tent’s grand entrance into the dark interior, you can no longer see the rules and boundaries from daily life. Everything is possible! There are acts for everyone in the family! 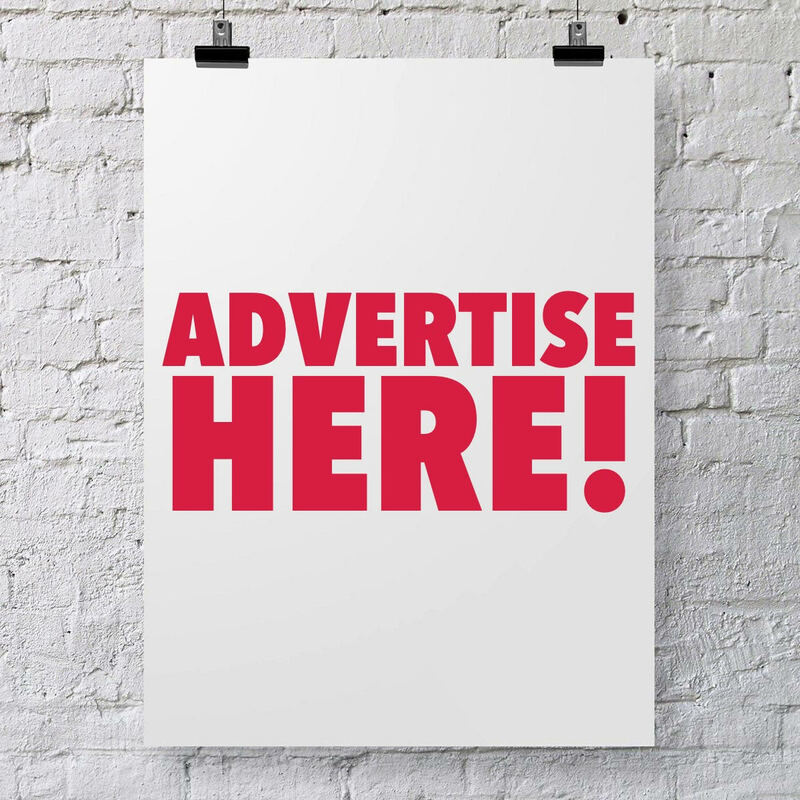 This one is for the ladies – tall, dark and handsome gymnasts! Ticket takers and snack vendors have fanciful flirty makeup teasing about the magical evening to come. People are not defined by one role! Juggling this 2-D figure was amazing but the magic started when he picks up the 3-D cube! Encompassing the quaint one-ring circus stage, one can see hints of a stronger structure soaring into the upper points of the tent. There are no limits to Circus Vargas’ imagination! This show reaches new heights as your imagination soars with each new act! WTF: Wow, They’re Flying! The touring company is made up of the original Vargas family relatives, close friends, or long-time Circus Vargas family. Through the strength of their bond, you receive a thrilling and efficient show that keeps surprising you, act after act. At Circus Vargas, family comes first! A picture is impressive, to watch this unfold in reality is mind-boggling! The show opens with a family-first reminder that when you unplug from your iDevices, you plug into the people and world around you. They warmed us up with mind-boggling contortionists! High-energy acrobats took the experience over the top with one press of a button, sending an electric pulse through the audience as their suits lit up! The show proves you can do whatever you set your mind on! Whether it’s hulahoops, motorcycling, or other daredevil acts, turning the lights off increases the danger and electricity! The entertaining, well-choreographed show moved quickly through it’s breath-taking, sometimes dangerous, but always exhilarating acts, with a fantastic duo providing comedy and musical relief between acts. Be present, it’ll blow your mind! Seeing two motorcycles travel the inner globe is exhilarating, but your senses will race when the lights go out! Finally, Circus Vargas has heart! At every stop, they contribute to local charities. At our performance, Olive Crest was given the time to share their mission with the audience and that opportunity is priceless – for real.